Devil Dog Grill | Mobile kitchen serving American-style grilled foods. 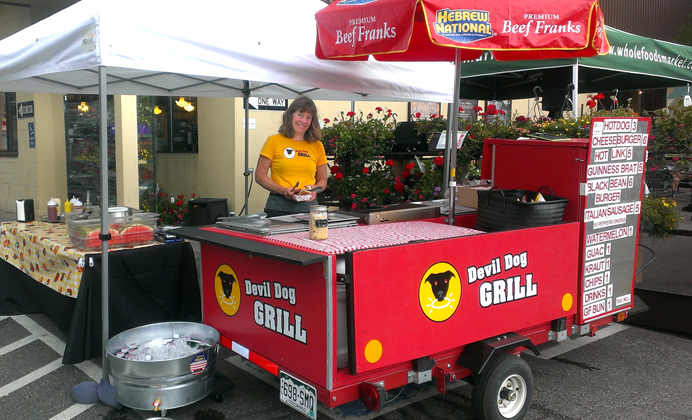 Devil Dog Grill is a mobile kitchen serving quality American-style grilled foods by friendly people. We feature locally-sourced food whenever possible, and use recyclable and compostable products. Devil Dog Grill is available for festivals, community events, corporate and business functions, as well as private parties.